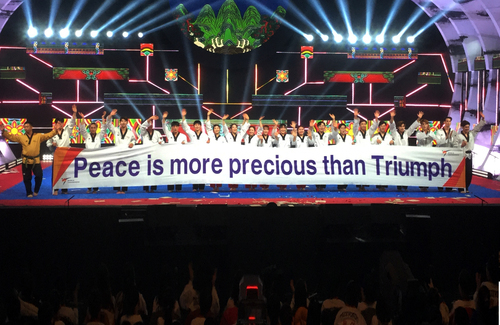 Korea reached 4 times the top of the podium on Sunday to rocket to a total of 23 gold medals during the 4 days of competition at Taipei 2018 World Poomsae Championships and reign on top of the medal count by a comfortable distance from the rest. 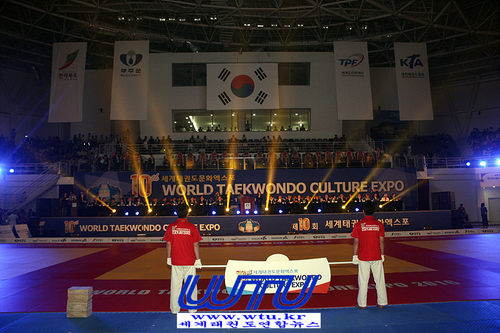 Iran, Chinese Taipei and Mexico won their third tile in the event on the closing day after tasting gold once each on Sunday, while Portugal clinched its first title thanks to Eduarda Ferraz’s victory in Recognized Poomsae Individual Female Over 65. 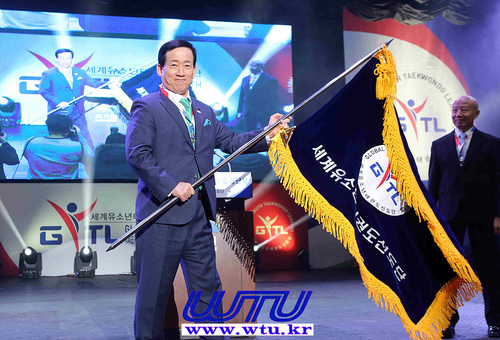 The four gold medal winners on Sunday for the Korean Team were; Jeong Ji Min and Hong Seong Un were the most successful pair in Recognized Poomsae Junior; Chang-hyun Lee proved to be the strongest competitor in Recognized Poomsae Individual Male Cadet; Jooyeong Lee left no chance for the rest of fighters involved in the Recognized Poomsae Individual Male Cadet’s division to touch gold; and Kim Yu-ha and Yun Kyusung were the victorious couple in Freestyle Pair Under 17. 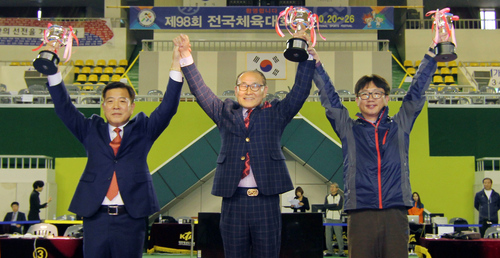 Korea kept its surreal rythm of medal winning after clinching 7 more titles on Saturday in Taipei City. Mexico, Iran, USA and Chinese Taipei also reached the top of the podium in 1 occasion each to win their 2nd gold medal in the event so far. 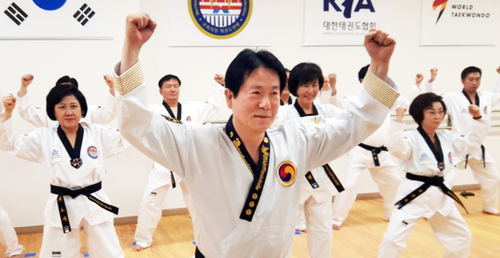 The Korean golden athletes on Saturday were: Dong-kyun Seo, who proved himself as the best competitor in Recognized Poomsae Individual Male Under 65; Lee Chang-hyun and Lee JooYeong, champions of the Recognized Poomsae Pair Cadet division; Lee Geun Young, Lee Hak-Jun and Min Ho Lee, who left no chance for the rest of contestants in Recognized Poomsae Team Male Junior; Yang Jun Yeong, Kang Wan-jin and Kim Dong Yun, who deserved to step on the highest step of the Recognized Poomsae Team Male Under 30; Lee So Young, Sim somi and Um Jimin, who reigned in Recognized Poomsae Team Female Under 30; NA Tae Joo, who became the new king of the Freestyle Individual Male Over 17; and Kim Jinman and Gwak Yeowon, who set the standard in Freestyle Poomsae Pair Over 17. 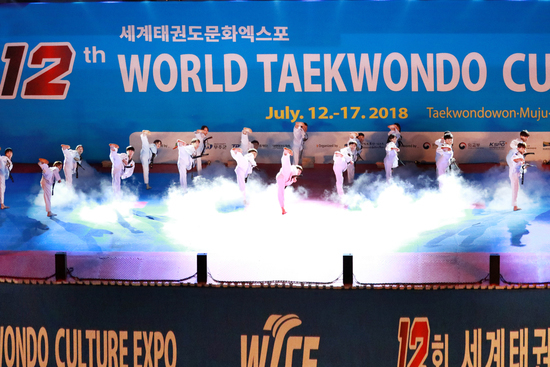 Korea added 8 new medals to its collection at Taipei 2018 World Poomsae Championships on Friday to mantain the lead on top of the medal count with even more distance from its rivals. Mexico, Iran and Germany clinched 1 title each to complete the 11 divisions in competition on this second day of action. With these results, Korea rockets to a total of 12 gold medals to stand out as the solid leader of the event, while Mexico, Germany, Iran, USA and Chinese Taipei holding 1 title each so far as the other nations who have managed to taste gold in Taipei this week. Complete results of Day 2 are available above this report. 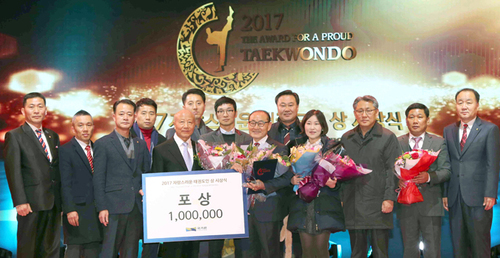 Korea started the 2018 World Taekwondo Poomsae Championships at a very strong pace, collecting no less than 4 of the 6 gold medals awarded on Thursday in Taipei. 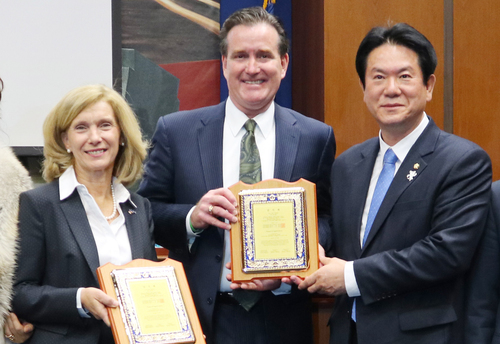 The spectators gathering at Taipei Gymnasium for the opening day of competition also saw USA and Chinese Taipei climbing to the top of the podium after respectively taking the Freestyle Individual Female Over 17 and the Freestyle Mixed Team Under 17 titles. 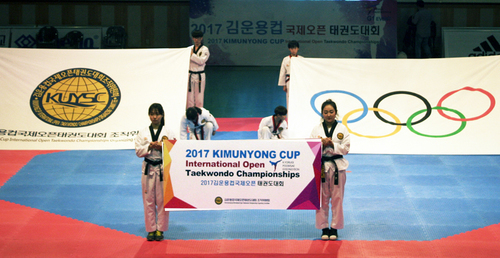 The 4 Korean golds on Thursday were conquered by: Seong-un Hong, who was the best in Recognized Poomsae Individual Male Junior after beating Pham from Vietnam in the final clash thanks to a 7.720 to 7.470 score; Sang-hyo Jeong, who tasted glory in Recognized Poomsae Individual Male Under 60 after defeating Renato from Brazil in the gold medal match by a 7.430 to 7.180 score; Jisu Kim and Jaewon Lee, who dominted the Recognized Poomsae Pair Under 30 division after getting rid of Chomchuen and Suvittayarak from Thailand in the last match of the draw; and Ki-sung Song, Minki Noh and Jin-han Iee, who set the standard in Recognized Poomsae Team Male Over 30. 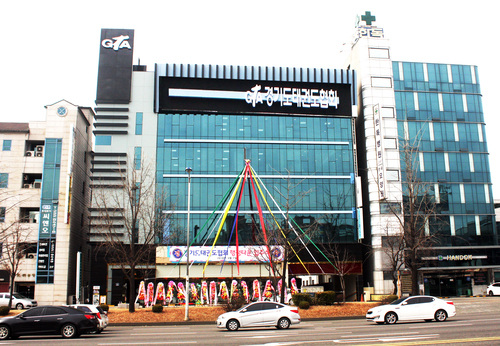 한국품새대표선수단이 제11회 타이베이 세계품새선수권서 금 23, 은 5, 동 1 개를 획득하며 대회 11연패를 달성. 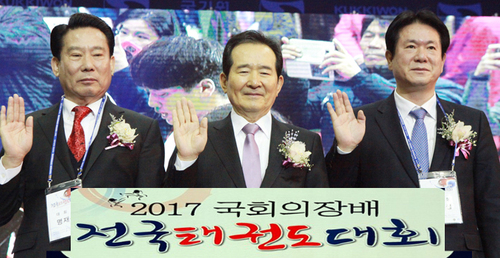 2018 세계태권도품새선수권대회가 타이베이대학교 티안무캠퍼스 체육관서 나흘간의 각축과 함께 18일막을 내렸다.